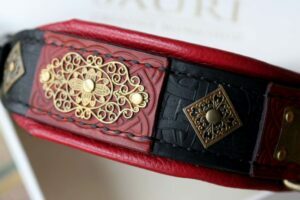 Workshop Sauri designs and hand crafts both standard and unique leather dog collars, leather dog harnesses and leather leashes for large dog breeds e.g. 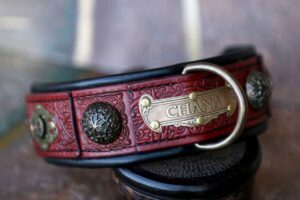 French Mastiff, English Mastiff, Neapoiltan and Japanese Mastiff (Tosa inu), Fila Brasileiro, Dogo Canario, Cane Corso, Dogo Argentino, Bullmastiff. 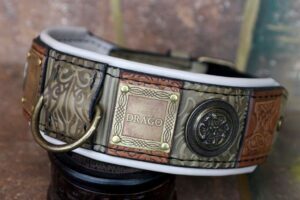 We put our knowledge and passion to create fashionable, classic, modern and vintage dog collars for these beautiful giants. 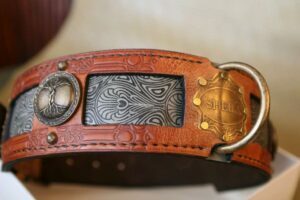 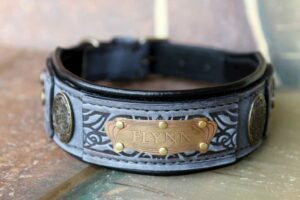 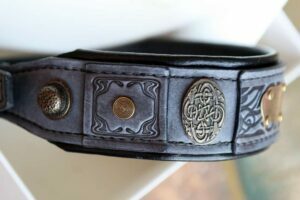 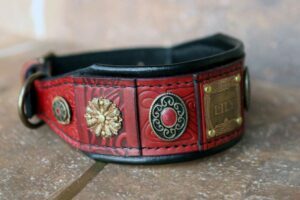 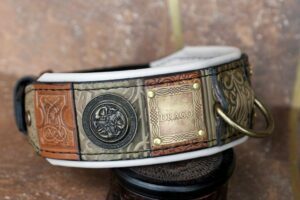 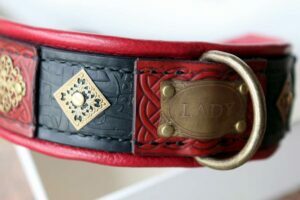 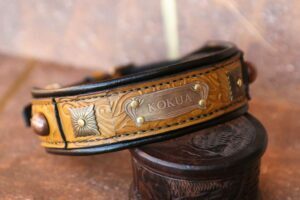 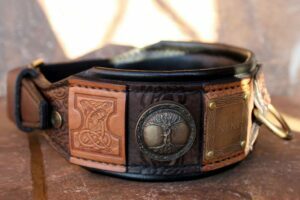 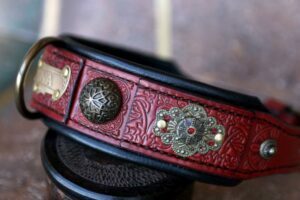 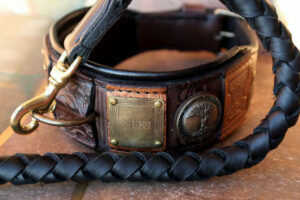 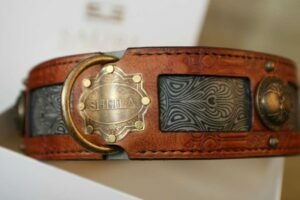 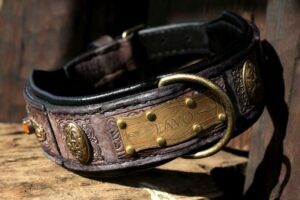 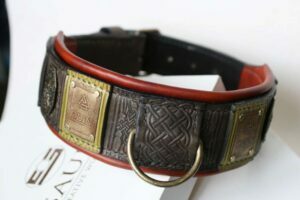 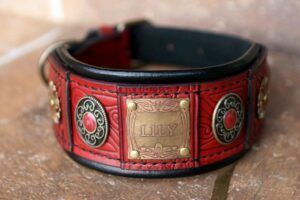 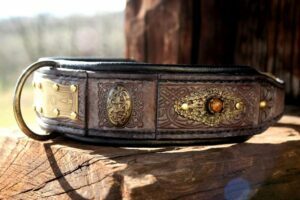 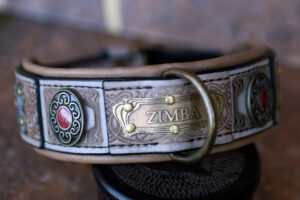 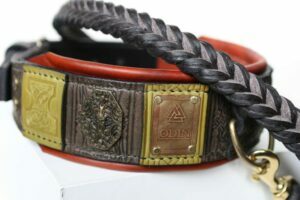 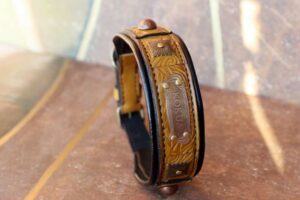 Sauri’s unique hand stitched leather collar is an absolutely reliable ally when you want to accentuate your dog’s specialness.